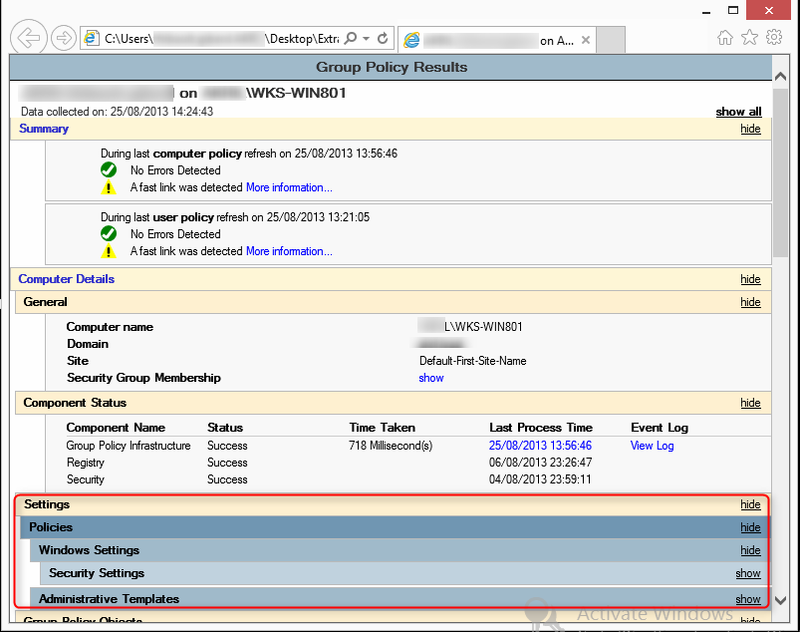 Sometimes, you need to check on a targeted computer or user account which Group Policies are applied at the logon. It exists several mean to do that. Fist, thanks to the command line prompt. You can use the following commands depending what settings you want to check. In these examples, you can see that I have configured several examples of policies. 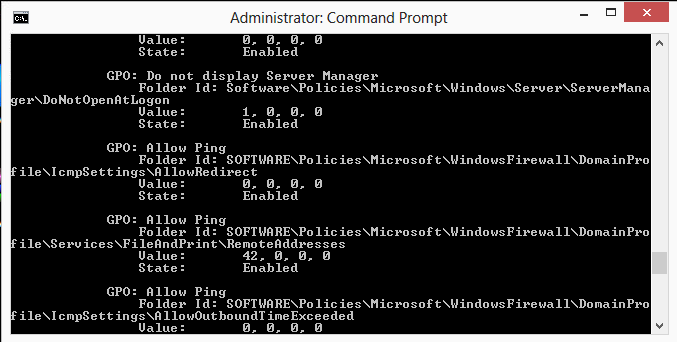 I allowed the PING request on my lab on all computers and I desactivated the display of the Server Manager on the logon. You can scroll up and down to see details. According to the location of the prompt, an HTML file called Extract.html will be generated. You will be able to see all the GPO configures on your user account and your computer. Both applied GPOs and denied GPOs. You can display detailed configuration by playing with the “Show” and “Hide” links on the right part. The advantage of this method is the result is easier to read and understand thanks to the GUI. Obviously, we find back the same settings of applied GPO.